Iron ore production in India in Calendar Year (CY) 2018 surpassed 205 million tonnes after a huge gap of eight years. 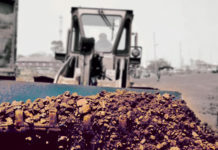 The output reached 205.68 million tonnes, mostly on increased production in Odisha. This is 1.55 percent higher than the 202.54 million tonnes recorded in CY 2017. 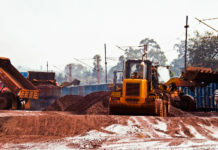 The country had produced 209.00 million tonnes of iron ore in CY 2010 at the height of a mineral boom before the clampdown on illegal mining in the country by the Supreme Court. 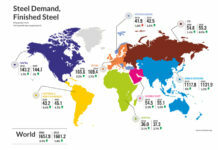 After that year, the countries production started declining year after year. In CY 2011, fell down to 190.8 mnt. Next year in CY 2012 it reduced to 152.6 mnt and in CY 2013 it fell down as low as 136.1 mnt. Subsequently, in CY 2014 iron ore production started increasing gradually and moved an inch up at 137.32 mnt. Next year in CY 2015, production didn’t lose its pace and again moved up reaching at 142.5 mnt. In CY 2016, production improved and reached 182.33 mnt and in CY 2017 production reached 202.54 mnt but couldn’t cross the mark of 205 mnt. Interestingly, despite some mining operations ban reported in the first few months of CY 2018, Odisha which usually accounts for half of the country’s total output saw marginal growth in iron ore production. Odisha’s production was reported at 99.18 mnt in CY 2017, but in CY 2018 it increased to 101.35 mnt amid several mining operations halt. 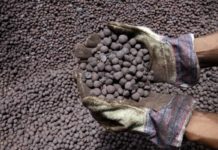 State-owned National Mineral Development Corporation (NMDC) recorded 33.13 mnt iron ore output in CY 18 which is slightly lower as compared to previous year’s 34.78 million tonnes. NMDC alone accounted for around 16-17% of total India’s iron ore production. Other big miners also saw some fall in iron ore output. In CY’18 iron ore production could have been even better if India’s largest iron ore mining company National Mineral Development Corporation (NMDC) as iron ore production at Donimalai mine Karnataka is at stand still due to issues with premiums with the State govt. Of karnataka in the last few months of 2018. Besides this incident, in the beginning of 2018, the apex court of India’s order to decline deadline extension for depositing the penalty that it had imposed on mining lease holders for operating without the necessary clearances in Odisha was a huge blow to several miners. Immediately, after that Odisha’s government suspended operations in seven mines (extracting iron and manganese ores) that failed to pay penalties by deadline decided by the top court. Miners took many days to restart productions again. 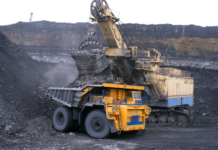 Major miners of including Idcol, Serajuddin and Essel Mining restarted mining in mid February after receiving nod from the top court as their delayed payments were accepted. 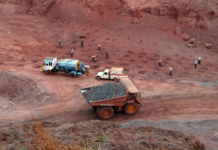 Also, mining operations in Goa banned completely after the Supreme Court’s order canceling 88 iron ore mining leases in the state. As per Indian Bureau Of Mines month wise total production of Manganese ore, Chromite and Iron ore from January 2018 to December 2018 are furnished below.